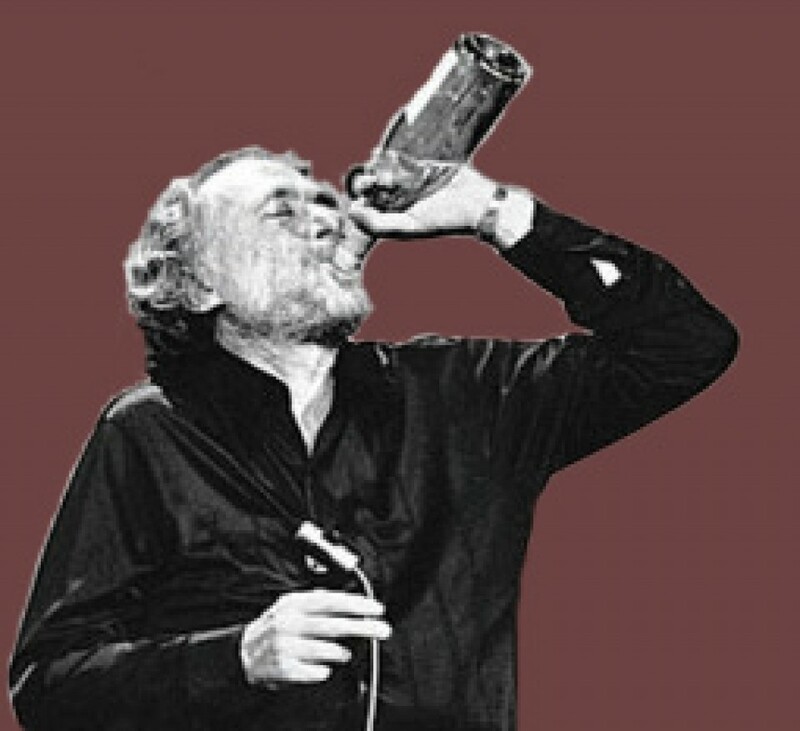 November 2014 – Would Bukowski Drink It? Steele Chardonnay was one of the first wines I was introduced to by Russ Martin, a former co-worker and major wine aficionado, who gave me my earliest impressions that wine could be something more than just something to drink. Since then I have become a fan of Steele Wineries and Jed Steele. 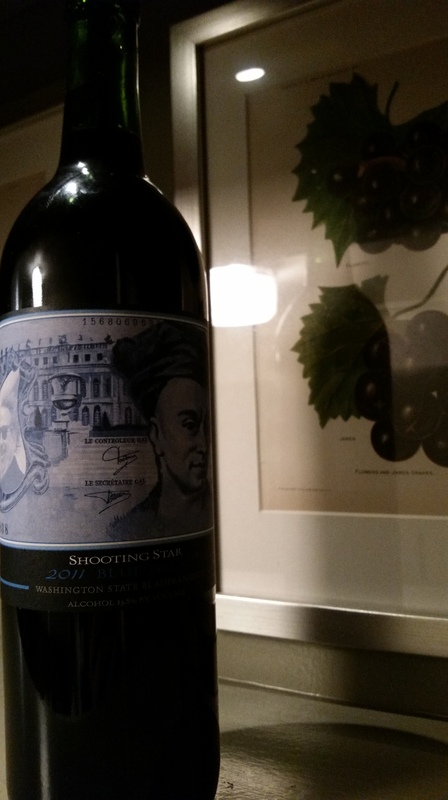 The “Shooting Star” Blue Franc is very unique and a wine you should try if you can. So out of the bottle and into the glass…. The color of the wine is a deep rich purple. Clean and clear to the rim with long legs in the glass. The nose of the wine is full of blueberries and blackberries with a touch of cocoa, pepper, slight oak with clove. The taste is packed full of cranberries, blueberries, and blackberries. A little bit of pepper, oak and a bit of a cinnamon, licorice / anise aftertaste. The finish is velvety smooth and lingers with soft tannins. It’s very rich and well balanced. Overall it’s a very well developed wine at an exceptional value. I’d agree with the comparison to Pinot Noir or Gamay and if you are a fan of either, I urge you to find a bottle. For pairings, I would suggest Blue cheese, Gorgonzola, and Sharp Cheddar, dark chocolate, red meats and really just about anything. 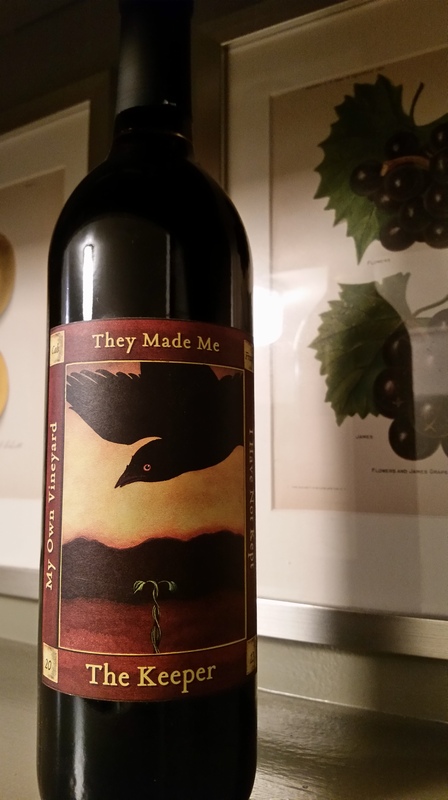 Keeping with my Fall related wine picks, I stumbled on “The Keeper” from Corvidae with it’s bold label featuring a red eyed raven and had to give it a try. I don’t drink Cabernet Franc that often. No particular reason why and after trying “The Keeper” I need to try more. “The Keeper” is a big lush wine with a garnet to plum color. Short legs in the glass but very bright and clean. The nose is full of fruit, cherries, blackberries with a smoky note and spice, particularly clove with some oak. The taste is equally big and full of plums, Bing Cherries, fresh ripe fruit with slight oak. I also noted a slight peat, moss and earthiness with some cocoa. The finish is very long and there is a lingering velvety quality. Very soft and well balanced fruit. Complex yet clean. “The Keeper” will match great with Chevre and other goat cheeses as well as Aged Gouda and Parmesan, and a sweet Gorgonzola. For heartier meals, this will go well with red meats, especially any grilled, salmon, and even Mexican. Would Bukowski drink it? It’s all in a name, and this one’s a Keeper for sure. 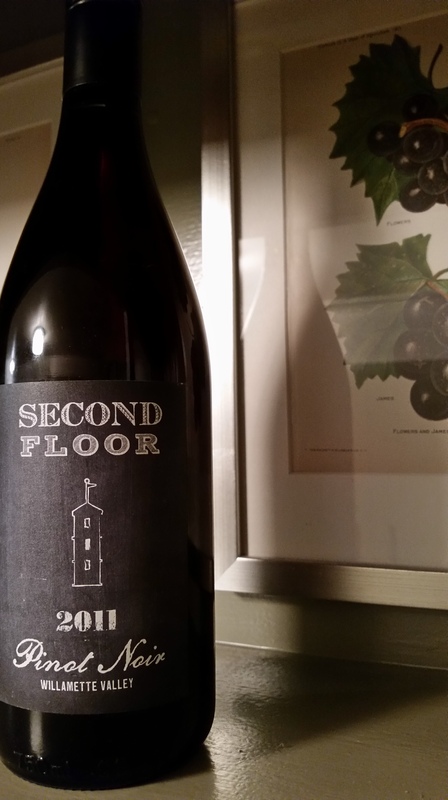 The “Second Floor” Pinot Noir is actually produced by the folks at Oregon’s Twelve Winery under a different label. I stumbled on it at my corner market and decided to give it a try. Always on the lookout for decent Pinot Noirs from Oregon in the $10-$20 range it was a good wine for tasting. The color of the wine is a light purplish red with medium legs in the glass (13.9% alcohol). The nose of the wine is full of red fresh fruits: strawberries and cherries, with a touch of oak, violet, crushed stone, slight spice, tobacco, moss and we earth. The taste again is full of berries and fruit. Less so berries for me. Closer to tart pie cherries with a touch of oak, pepper and smoke. It has a soft lingering finish with soft tannins. A touch acidic and not as well balanced as I’d like to see in a Pinot but still enjoyable. For me Pinot’s need to be great and not just good. This was just a good Pinot. I wanted a little more complexity and better mouth feel. The Second Floor is drinkable and I’d recommended it if you are looking for a new Pinot to try from Oregon. It will pair well with softer robust cheeses and everything from red meat to turkey to even chicken. Would Bukowski drink it? Pinot? Pee yes. 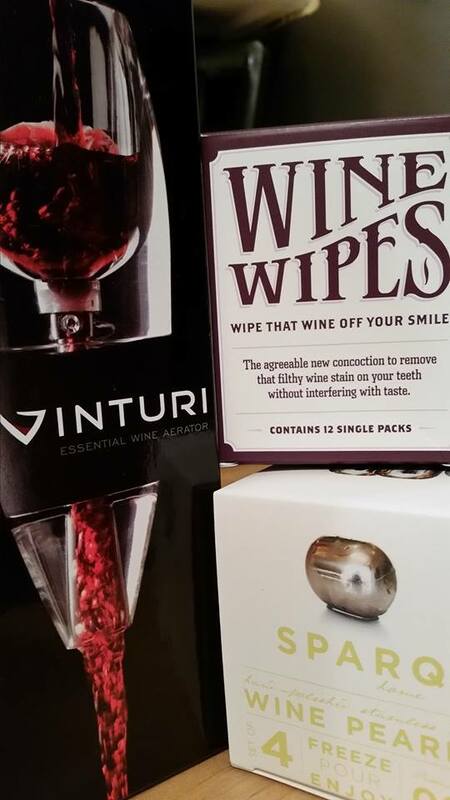 Wine gadget reviews for aerators from Vinturi, Wine Wipes from Borracha and Wine Pearls from Sparq Home coming soon. Some wine gadget samples to be reviewed soon. Beaujolais Nouveau Day is coming! 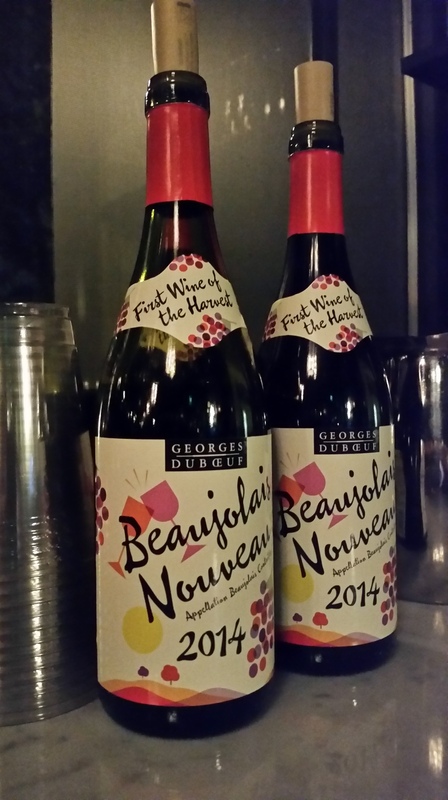 Beaujolais Nouveau Day is coming up on Thursday, November 20th. Beaujolais Nouveau is a red wine made from Gamay grapes produced in the Beaujolais region of France. It is the most popular vin de primeur, fermented for just a few weeks before being released for sale on the third Thursday of November. This “Beaujolais Nouveau Day” used to see heavy marketing, with races to get the first bottles to different markets around the globe. The current release practice is to ship the wine ahead of the third Thursday of November, and release it to the local markets at 12:01 a.m. local time. I am looking forward to sampling the 2014 releases soon. Reviews to follow. Just in time for Would Bukowski Drink It?’s 1 Year Anniversary and Thanksgiving.